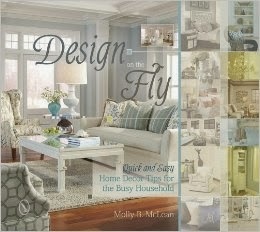 Design on the Fly: Quick and Easy Home Decor Tips for the Busy Household by Molly B. McLean is just that. 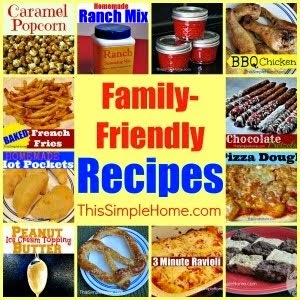 It is a book for busy families offering simple and fast ideas for home decor. If it sounds like a book for you, be sure to read to the end for the GIVEAWAY. our fall apothecary jar, I don't know that I have had any decor in my home worthy of a post here on the blog. 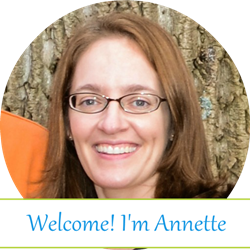 I think Design on the Fly is great for people like me who need lots of help decorating and for those who love to decorate and change things up frequently. The book is beautifully designed and full of images. Personally, I appreciate how the images look like they are in real homes and not just a staged set for pretty pictures. Granted, the homes are much tidier and nicer than my own (maybe because of all the lovely decorations? ), but they still seem authentic. McLean focuses on each area of the home. In addition to the obvious rooms, she also includes entrances, foyers, children's rooms, play and workrooms, and a chapter devoted to displays. Each chapter has about as much text as photographs which is perfect for a book on design. I appreciate the notes under the photos which provide additional ideas or showcase a specific design tip. With busy households in mind, each chapter ends with Time Crunch challenges. McLean provides a handful of ideas for readers who have an hour, two hours, or a weekend. The ideas will spruce up any space and provide several starting points for those of us who need a bit of inspiration or new ideas. I also like the highlighted tips in each chapter. If you enjoy decorating or need inspiration, I think this is a great choice in books. Thank you, Schiffer Books, for providing me with this book. GIVEAWAY Giveaway is now closed. Congratulations to #6, Carrie! I am going to pass along my gently-read copy to one of my readers! To enter, please leave a comment below. Please leave your email (at least once) so I can contact you easily. 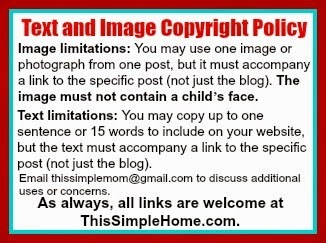 Since I will be paying for the postage myself, I'd love for you to follow This Simple Home, but I won't require it. 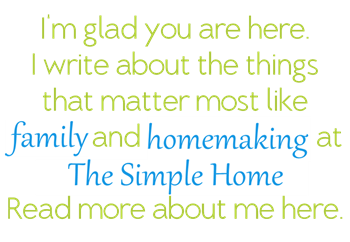 ~ Subscribe to this This Simple Home (RSS or email) for an extra entry (see sidebar). Leave a comment telling me you do. 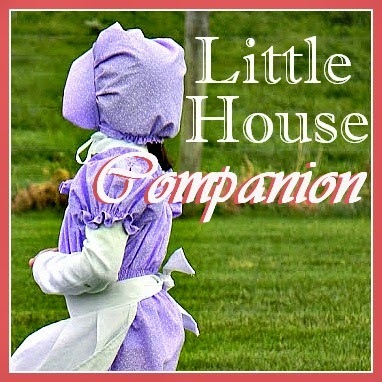 ~ Follow This Simple Home on Facebook, Google +, or Twitter (see sidebar). Leave a comment telling me you do. ~ Share this giveaway on Twitter, FB, or Pinterest. Thanks for spreading the word! Leave a comment telling me you do. ~ If you commented any time in 2013 other than a giveaway, leave an extra comment. Giveaway will run through Wednesday, January 29th. The winner will be contacted by email and have 48 hours to respond. Random.org will choose the winner. Winner will be announced on Facebook and on this post. This giveaway is limited to the US and Canada and to those 18 and over. Void where prohibited. Thanks for entering! I like the sound of this book. I'm always decorating, redecorating and rearranging. I love browsing books and blogs and magazines on the topic from time to time for new ideas! Can always use another good tip and would love to see what this author has to suggest.